Let our team do the designing for you! CP&G: Good for you. Good for the environment. Browse our wedding, wide-format & other print jobs! 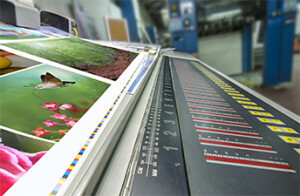 For more than 30 years, Columbia Printing & Graphics has been serving customers in Columbia, SC and surrounding locations with high-quality printing services. From the initial idea phase all the way through fulfillment, our team will work with you to find the best printing solution for any budget. With a combined 150 years of experience working in the communications and printing industries it is no wonder that Columbia Printing & Graphics remains an industry leader. We take advantage of state-of-the-art digital presses to provide you with documents, business cards, advertisements and more that will impress with quality as well as consistency. To learn more about our great services in Columbia, SC and surrounding locations, contact us for a free work estimate or check out our portfolio for examples of our work.